Here’s a guide on how to install TWRP Recovery and Root Redmi Note 5 Pro using Magisk. So, take a look at the article right now. Firstly, I am very thankful to the XDA member – Shahan_mik3 for developing TWRP for Redmi Note 5 Pro. Please note that this TWRP is unofficial but supports all the features. So, head over the downloads section to get it right away. twrp-whyred-08032018.img | Unofficial (55 MB) – Supports Nougat and Oreo only. Take a Backup of your important data because this process may completely wipe your Xiaomi device. You must have to Unlock Bootloader of your Xiaomi device. Make sure that have installed latest Xiaomi USB drivers on your PC. Follow the simple steps below to install TWRP Recovery On Xiaomi Redmi Note 5 Pro. Download the latest TWRP Recovery from above. Once downloaded, transfer the file to C:\adb. Now, hold the shift key and right-click anywhere on the empty space in the ADB folder. From the options, select “open PowerShell window here“. Power OFF your Xiaomi device and boot into Fastboot mode by holding Volume Down and Power button simultaneously. Once your phone enters into Fastboot mode, connect it to the PC using the USB cable. Firstly, download Magisk zip using the link above. Once downloaded, move it to an easily accessible location on your phone. Power OFF your Xiaomi phone and boot into recovery mode using the unique combination of buttons. Once you enter into TWRP Recovery Mode, Tap on “Install” from TWRP home screen. Now, browse and select the zip file (Magisk-v16.0.zip). Swipe the “swipe to confirm flash button” to flash Magisk on Redmi note 5 Pro. Once the flashing process is done, tap “Reboot System” button. Enjoy! Now, you have successfully been able to Root Redmi Note 5 Pro Using Magisk. Once you have rooted, you can install Magisk manager from Google Play Store. 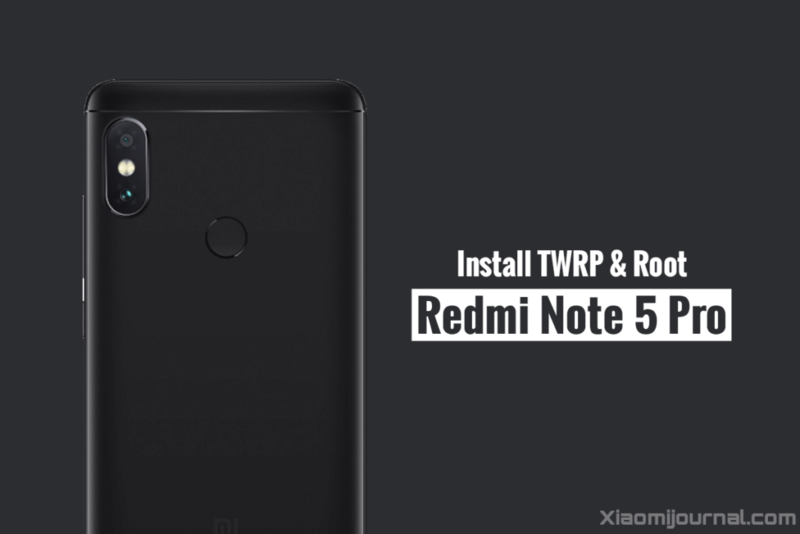 If you have any problem or issue in installing TWRP and Rooting Redmi Note 5 Pro, feel free to drop us a comment below.